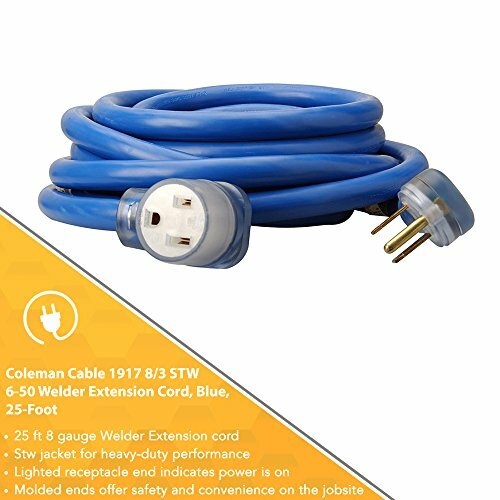 Coleman Cable 1917 8/3 STW 6-50 Welder Extension Cord, Blue, 25-Foot. 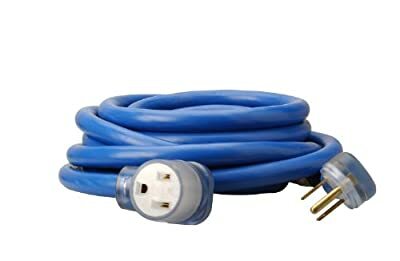 8-Gauge plug. Stw jacket for heavy-duty performance. Lighted receptacle end indicates when power is on. Molded ends offer safety and convenience on the jobsite. Bring portability to welding machines and create convenience. 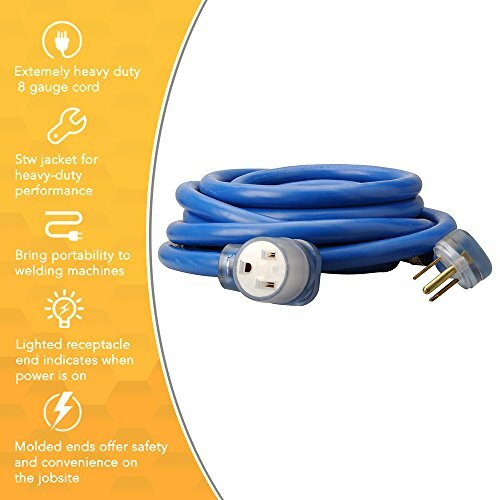 Provide a convenient, safe method to extend the range of welding equipment. Intended for new commercial construction, mro industrial and general welding. The Coleman Cable brand is a registered trademark of Coleman Cable Inc.